View of the island of Santorini. 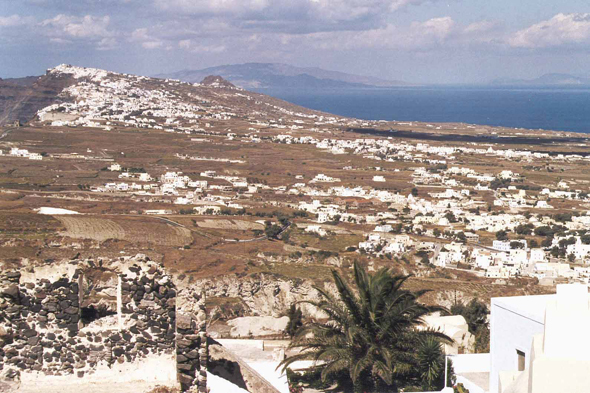 The crater of those which want to appropriate a part of it constitute the visible aspect of Santorini. The back-country, whose vines planted in terrace are the only greenery, represents the laborious heart of the island.